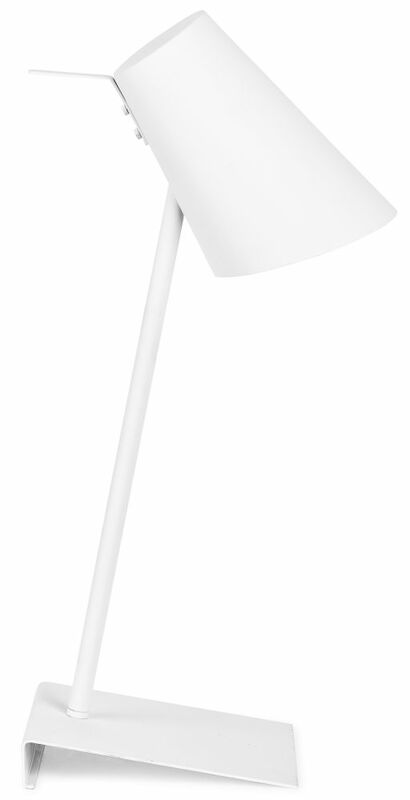 This Cardiff table lamp is a minimalist choice for your home. With a simple design that features bolder elements to its foot and shade. The foot of the lamp and the shade almost mirror each other in their angular shape and in between them is a simple long thin pole. it is a great choice for many different spaces in the home. And it comes in 3 different colors to choose from, that easily matches any style that suits your space. It made of a combination of iron with a soft to touch rubber finish.